Empowering students to engage in lifelong learning and decision-making skills in preparation for self-sufficiency and a higher quality of life. We offer Adult Basic Education Classes for high school equivalency (HiSET preparation) and classes for English Language Learners. 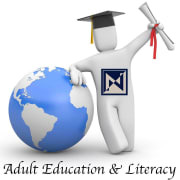 Would you recommend North Kansas City School District Adult Education?